One could say if you take awhile to throw something out, you will take awhile to move out. What do I keep, you ask yourself? Everything of course! 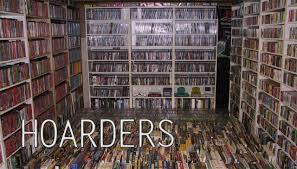 You are a collector, however your friends and family know your prized treasures from corner to corner are a direct result of hoarding. Moving house is the perfect time to turn a new leaf, rid yourself of these prized possessions that never get used and make your interstate move a smoother and more cost effect process. Melbourne is after all a long way from Brisbane, and who knows, you may be back in a few years after all! Leave your more fragile items, like the Vietnamese vase with Aunty Mary, she will surely look after it. Think of some things you can part with, give yourself the 12 month rule. If it hasn’t been used or worn in 12 months then it’s time to through it out; teddy bears from ex boyfriends, video cassettes and players, Nintendo, the exercise bike that has gathered more weight in dust than you have by not using it. Get your friends and family to help you, I’m sure you will come across some great memories on the way to making new ones. · Furniture: curbside collection, the students down the road would quickly whip up your used bookshelf in no time and be the most grateful; at least you know it will get good use. · Kitchen: a couple of weeks prior to your move, place all your cooking thingamabobs, coffee mugs, utensils and Tupperware in to a packing box. Whenever you go to use something, place it back in the cupboard or draw and whatever is left in the box you can dispose of or donate to the Salvation Army. Now it’s time to contact Interstate Removals and ask about your Backloading options. Backloading is not only cheaper; it also reduces the amount of carbon emissions produced by the removal trucks when moving a long distance. Interstate Removals have a weekly service from Melbourne to Brisbane and can cater from a large move to a small move, from a townhouse to an apartment. Call us today to discuss our best Backloading price guarantee.